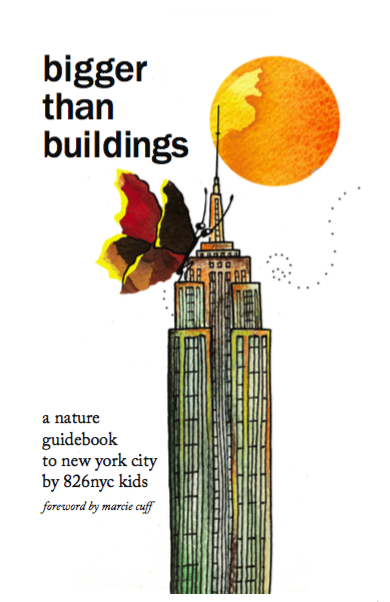 Through the eyes of young scientists and writers, explore New York City’s myriad habitats and inhabitants. From the tiniest microbes in the waters of Coney Island to the tallest trees in Central Park, every organism has its role. Unlike those in other guidebooks, these species often take on lives of their own, writing about the torture of getting detention as a daddy longlegs to the excitement of trick-or-treating as a northern mockingbird. Life is vibrant within these pages. Purchase a copy of Bigger Than Buildings at the Brooklyn Superhero Supply Co. or online here. This book features a foreword by Marcie Cuff and was designed by Kening Zhu.